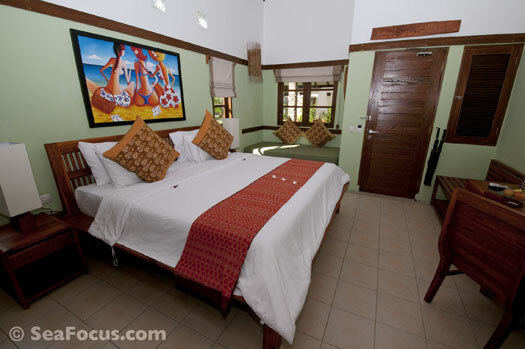 Located in Seketong, southwest of the city of Mataram, transfer time from the airport to this resort and dive centres is around 90 minutes, or a bit less depending on traffic. We visited Cocotinos Lombok very shortly after it opened and not all operations or facilities were running to full potential. 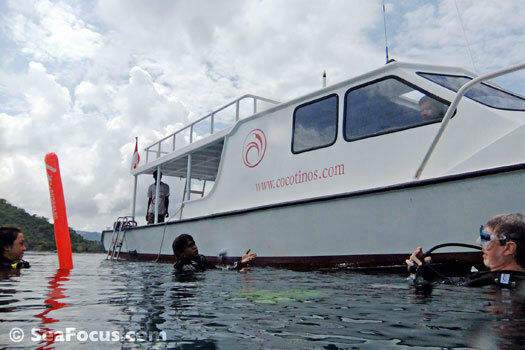 Cocotinos made its name as a dive resort in Manado, Indonesia. 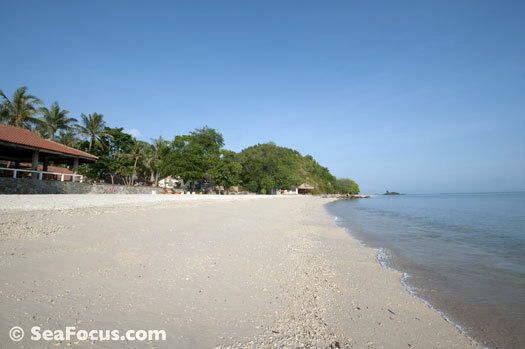 We visited in 2008 and really liked it so were pleased to hear of plans for another resort on southwest Lombok, the island billed as 'Bali how it used to be'. 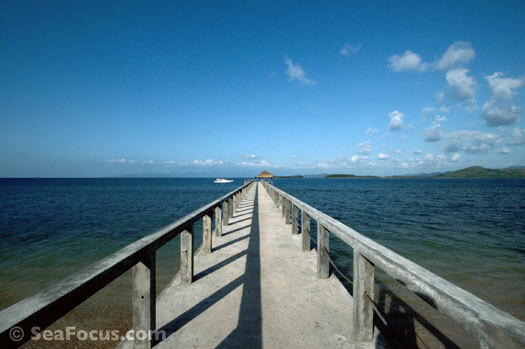 This part of Lombok is almost untouched by tourism and only attracts a few divers so the management are promoting this resort for general leisure tourists as well as diving. The location is delightful, with the pool and restaurant sitting above a lovely, white sand beach that leads into a shallow bay. 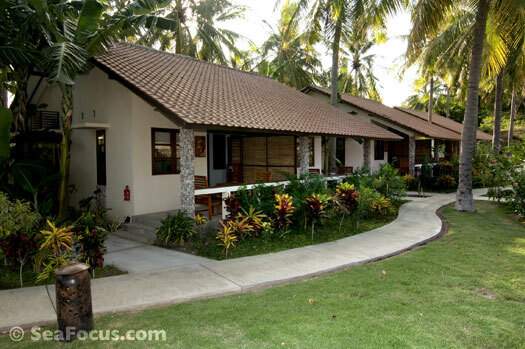 The buildings are reminiscent of the Manado resort, with semi-detached rooms (two to each bungalow) that are bright and airy with double height vaulted ceilings. The king size bed would sleep four (no, no) and is fabulously comfortable. Bathrooms are enormous, with tactile pebbled floors and an additional outside shower. There is a large shared balcony at the front with just a screen dividing the space so privacy is minimal. 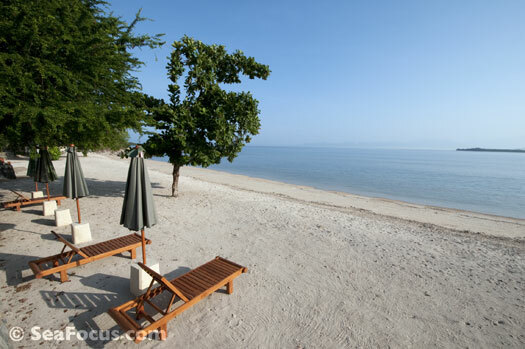 Very few rooms have a sea view – most are set well back from the beach and in rows behind others. Despite the slightly cramped feel, we were very comfortable, but we were just two of six guests at the time. 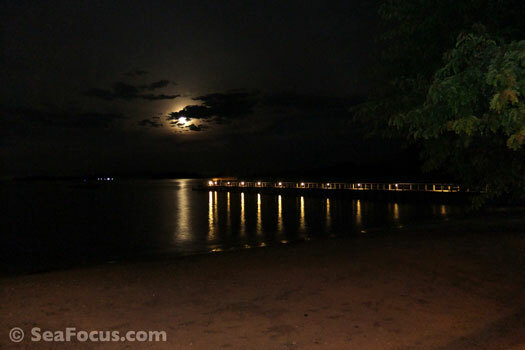 This resort has the potential to be stunning but it needs time and work by the management to resolve these issues and other smaller ones that are typical of setting up a new resort. The above feedback has been sent to the management who have promised to address the food and are also reassessing their pricing structures. Unlike the hotel, Odyssea Divers have been highly successful in transferring the style and calibre of their excellent operation to Lombok. 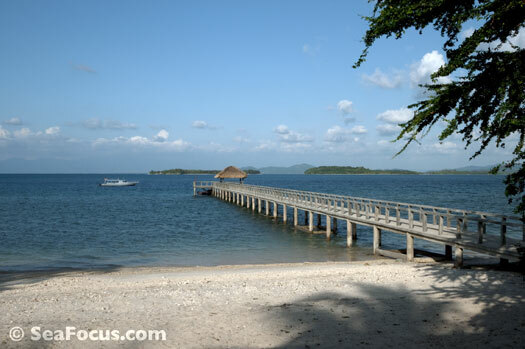 Like at the Manado resort, the diving operation is branded separately from the hotel – Odyssea Divers is led by Singaporean, Andrew Lok and this new dive centre is beautifully managed by Miki Mori, who we first met in Wori Bay. The new resort operates in exactly the same way as the Manado one: you arrive, put your dive kit in the box waiting outside your room then, from that moment on, you never see it or have to touch it except when you wriggle into the stuff to go diving. The crew take your equipment, label it, set it up and check you are happy before dive 1. They then watch how you like things done and you never have to do another thing unless you really want to. It's a great way to run things, especially for photographers, as you can focus on looking after that side of things, knowing that the well-trained staff are happy to do the rest for you. We also hired some equipment during this trip. The BCDs and regulators are all new as you would expect and everything was in perfect order. Many of Miki's team have transferred from Manado so our diving ran just as smoothly. 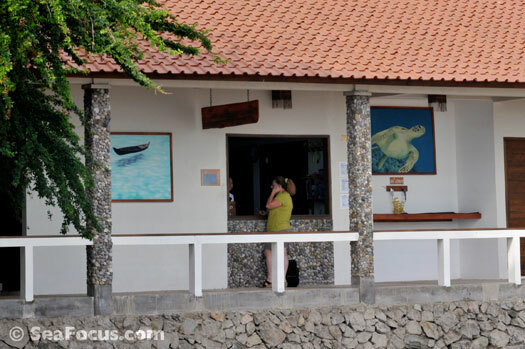 Everything we said about them there applies to the new dive centre in Lombok. 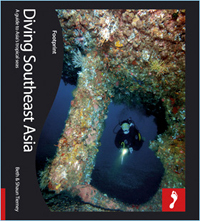 Diving days are scheduled to leave after breakfast and return after two dives in time for lunch. A third dive leaves around 2.30pm. On the boat, there is plenty of drinking water, tea, coffee and snacks plus there is a real toilet. The boat is small but well laid out and fast enough to reach most dive sites in around 20 minutes. We did one day of exploratory diving with Miki and divemaster, Syainal, which was great fun and added an extra dimension to our trip there. At the time we visited, there was no specific camera room or computer access like at the Manado centre. However, the guest rooms have a huge desk, which made a decent camera workstation. We loved diving with Miki, Syainal and the team and hope to do so again sometime!